Need help finding the right breed? Note: Temperaments may vary from chicken to chicken. That is because they are hybrids, and they can have any of their ancestors attitudes. Description: This is a sweet purebred. Although, they lay few eggs they are so cute! They have five toes, blue ears, feathered feet, and unique feathers. They are usually at the bottom of the pecking order. They are a broody breed. Because of this they make great mothers, and they will set on almost any type of eggs. Description: This is a beautiful breed with unique barring. They are calm and are easily handled. Description: This type of chicken is not technically a breed. It is a chicken that carries a blue laying gene. They are bearded and have fluffy cheeks. Note: This breed of chicken won't lay a different colored egg every day. The color of the first egg it lays will stay the same. Although the color may fade as the chicken ages. Hope this helps you find the right breed! Once you start raising chickens you can't stop! Vortex81, TwinsLoveChicks and eggiefarmer like this. 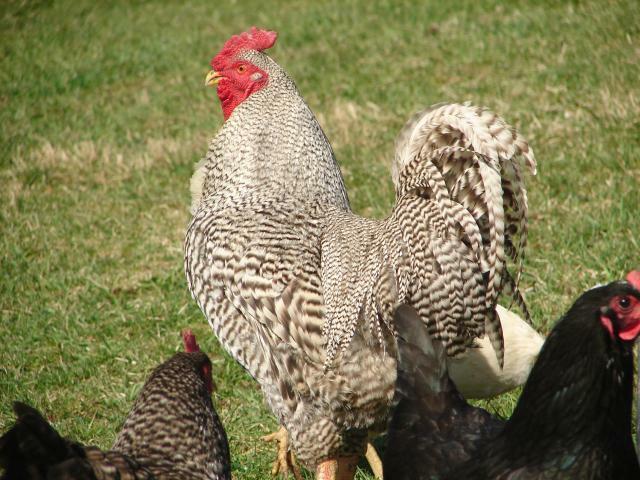 Wondering how to pick the best chicken breed?